settled for the quilt and mismatched pillows. 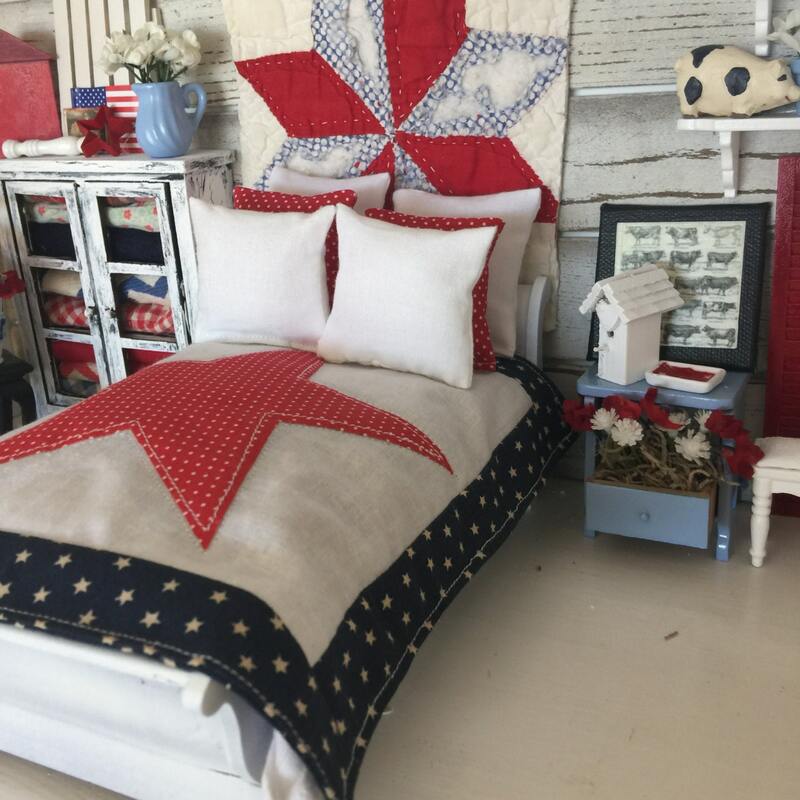 As we were married longer I ended up loving quilts, piling on white pillows, lace edged sheets....I still love that look. And one quilt in particular I have that I got from a wonderful trip to Oklahoma was a Star quilt. 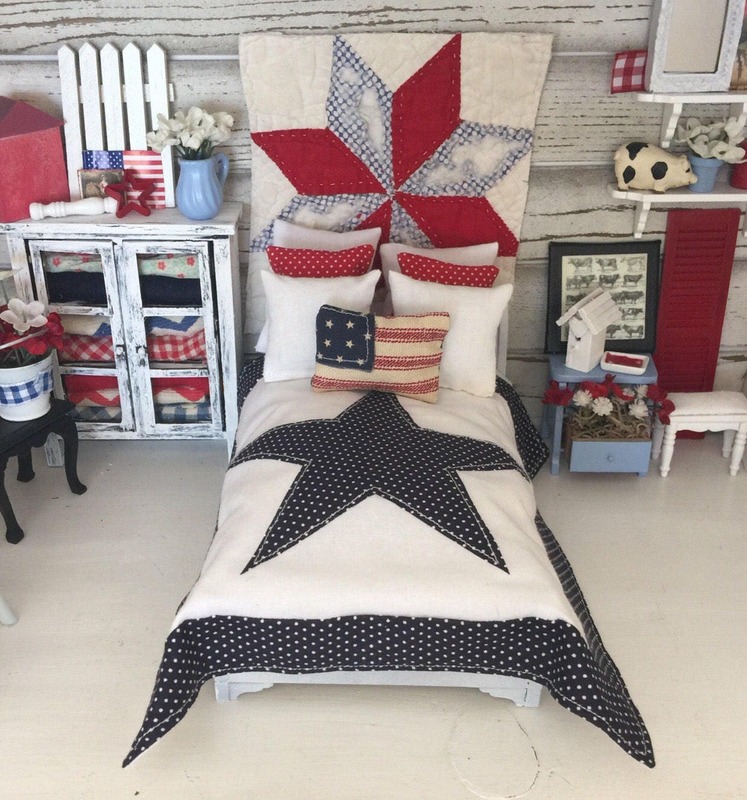 All these years later my heart leans towards star quilts. The ones I have are intricately made and quilted. 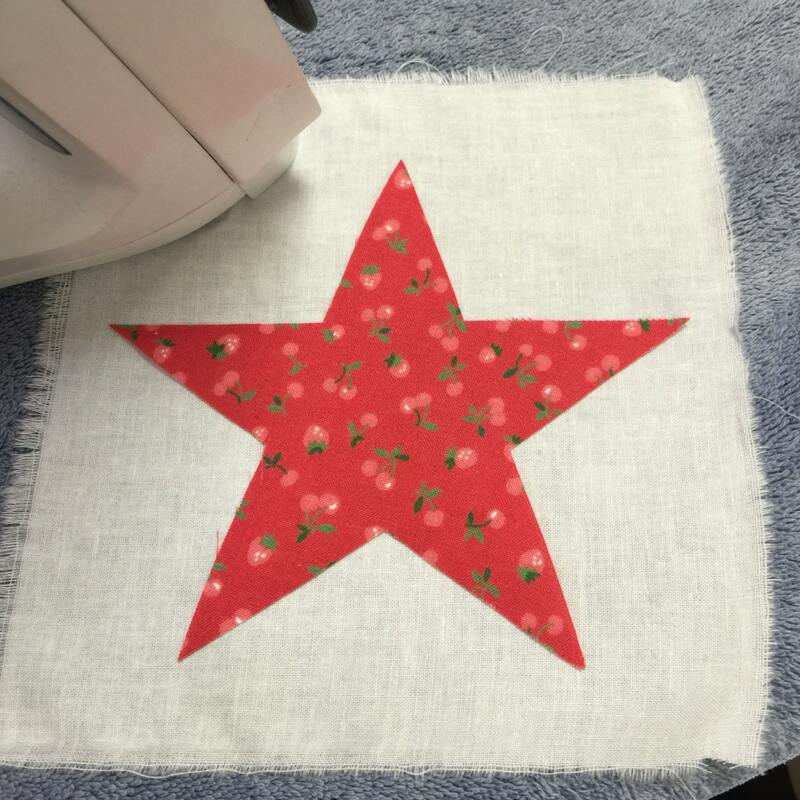 Looking at one with fondness, I thought, surely I could make a simple pattern for a miniature star quilt to fit on a little bed. 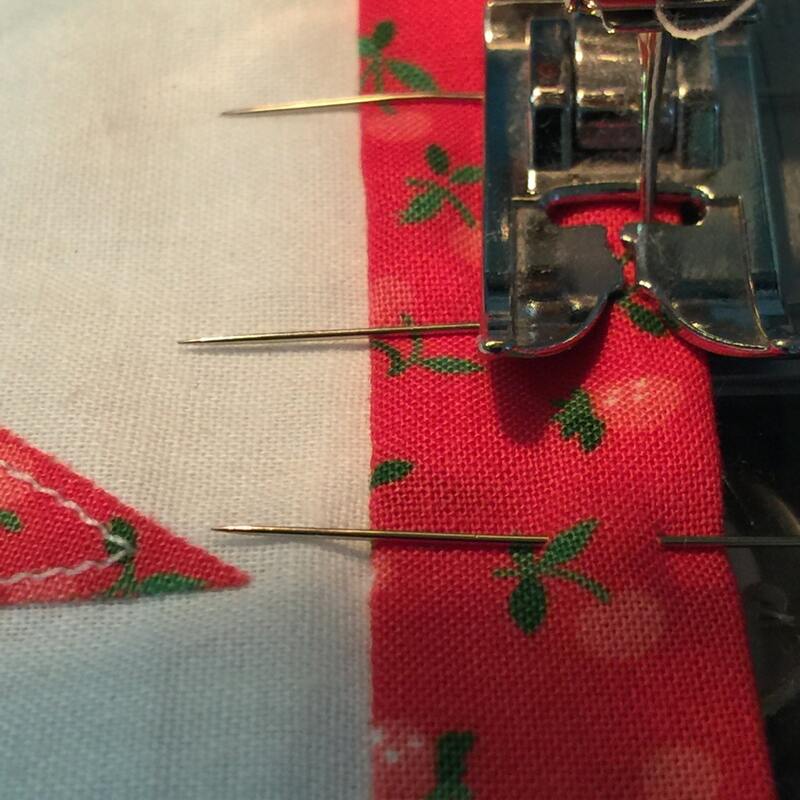 This pattern is the result of fond memories, and my love for all things quilted. I also taught my kids to have a love for quilts....reminding them, the generations before us, many of those precious relatives, are the ones who made and touched the very quilt they snuggled up in. 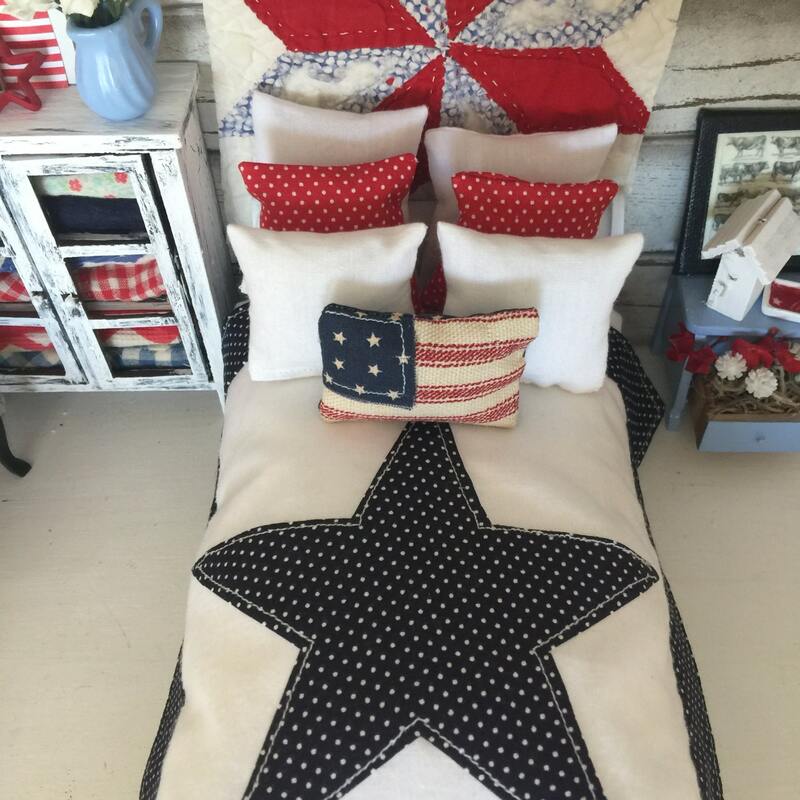 If you are a beginner seamstress or a seasoned one, I think you will enjoy the ease of this little quilt, sheet, flag pillow and Euro Sham Pillows. It really is one of the most simple patterns I have made. I made about 10 of these quilts while creating this pattern. I couldn't seem to stop making them! I do not use batting. If you have purchased dollhouse bedding from me you will know I don't use batting! I think it ends up making the bedspread or quilt like a hot pad! So I am not fond of batting....even though I am a quilter of 40 years. The quilts when completed are about 7 1/2" x 7 1/2" square. They can be made smaller by making the framing strips smaller. I would love to see your finished product as well. You can message me or contact me on Instagram, my blog Ribbonwoodcottage.com or Facebook (Ribbonwood Cottage) and I would be happy to share your creation on my social media. Please be sure to visit my blog too and sign up for my VIP Club. Discounts, Flash Sales and free patterns...all for my wonderful customers!